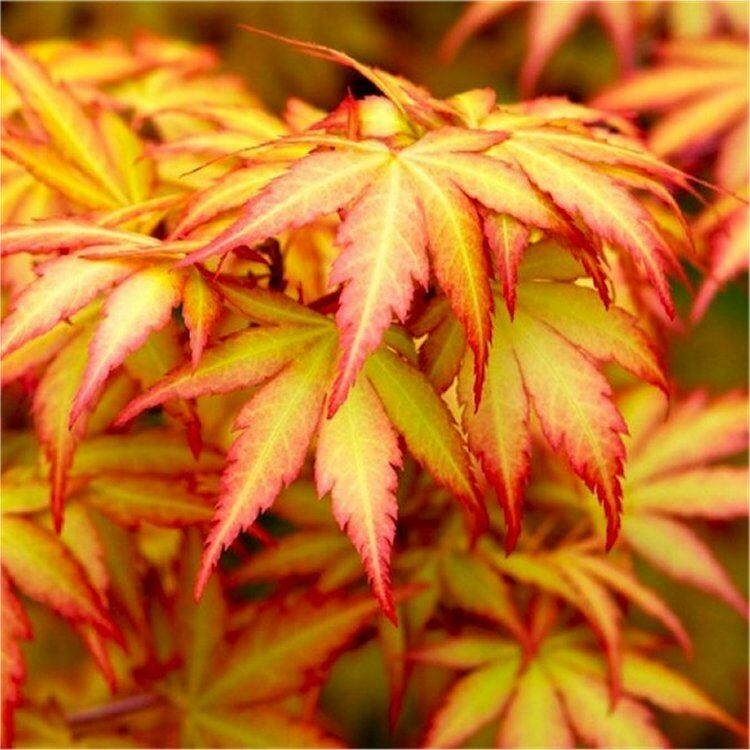 A Japanese maple cultivar rare to the nursery trade and of unique form and colour. 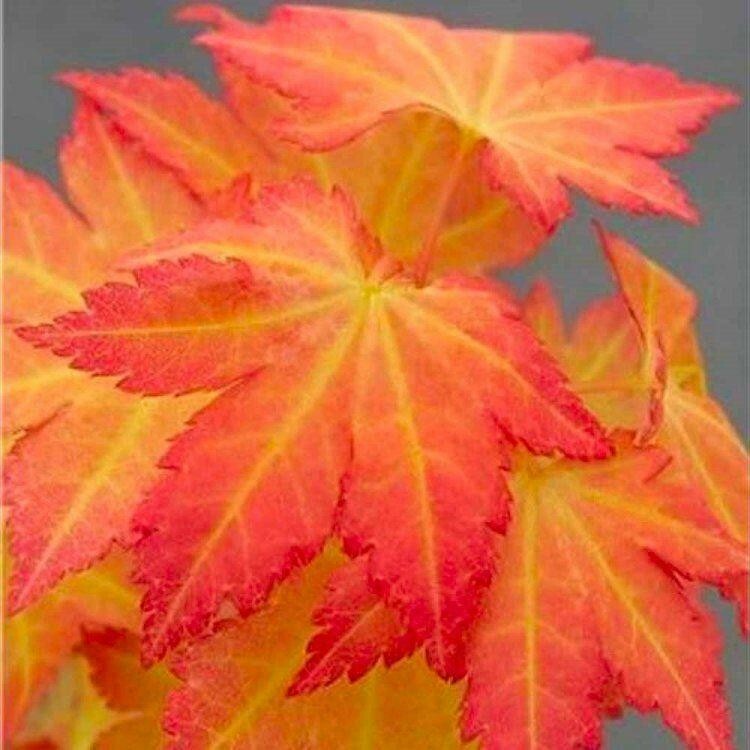 A narrowly upright growth habit and slow rate make 'Orange Dream' a large shrub to small tree depending on culture. 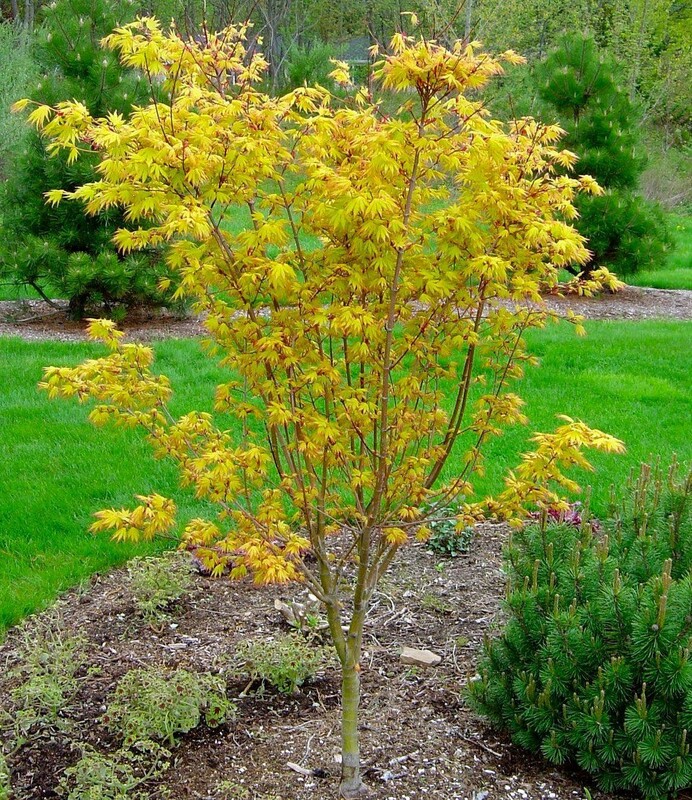 Striking orange-yellow foliage over bright green bark results in a truly different look. 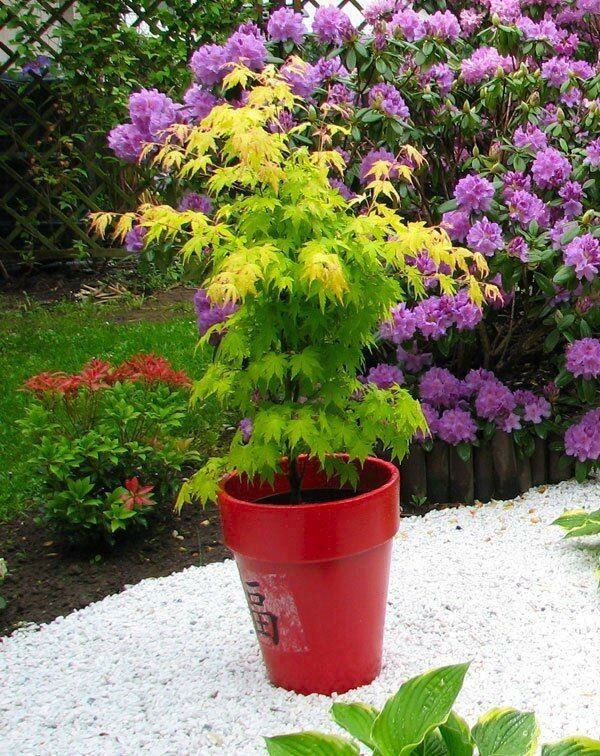 This beautiful Japanese maple will enhance any garden. It will also look wonderful in a pot or tub on the patio of balcony. 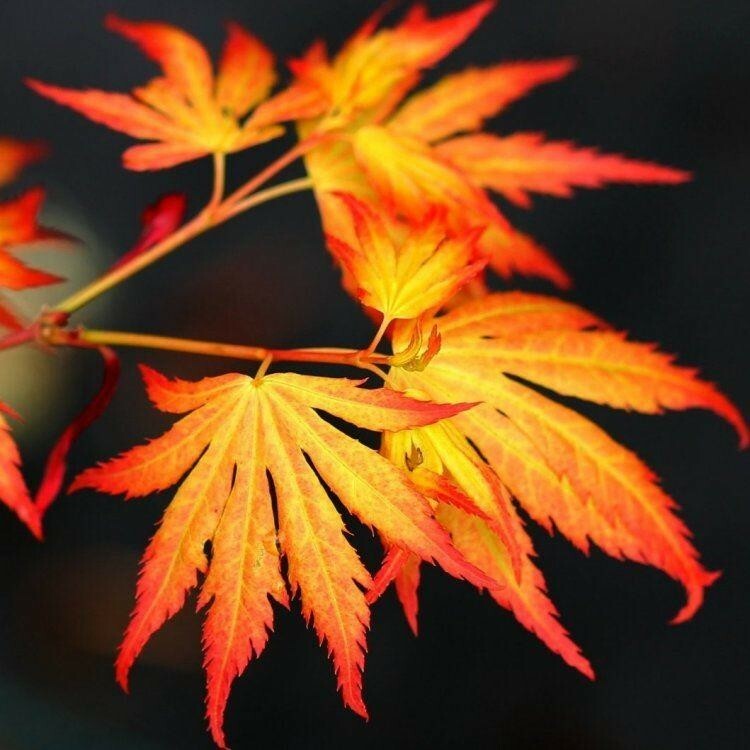 The Autumn colour and older foliage is breathtaking yellow. Supplied in approx 2 litre containers, approx 60-80cms tall.